Engelskspråkig tarotlek med 78 kort av Radleigh Valentine. 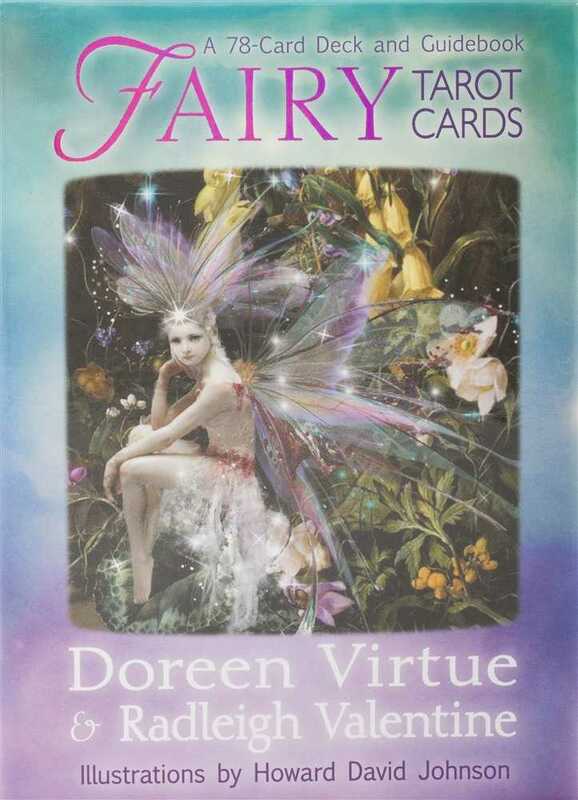 The fairies are magical Earth Angels who help you fulfill your earthly needs. Combined with tarot - a time-honoured system to get detailed accurate answers to life questions - they bring you the best of both worlds! 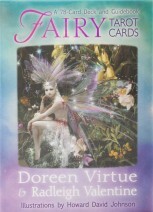 In the Fairy Tarot Cards, Doreen Virtue and Radleigh Valentine (the bestselling authors of Angel Tarot Cards) focus upon manifestation of the supply and support you need to move forward with your life purpose, make healthful changes, adjust your priorities, provide for your family and bring healing to the planet. The practical wisdom of the fairies, inscribed on each of the 78 cards and explained in the accompanying guidebook, will help you put your life on the fast track of Divine magic!